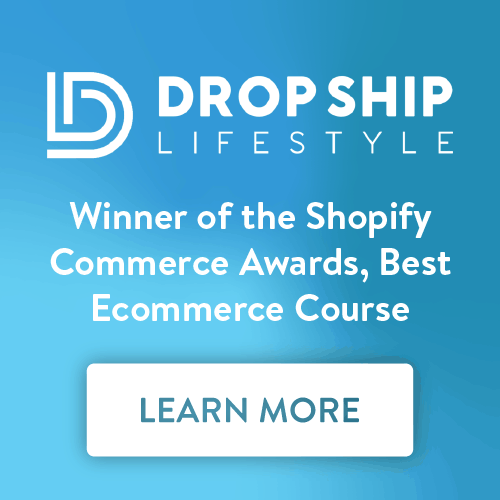 I’m just going to say it: Starting a dropshipping store is now easier than ever before. Yes, it has pitfalls, but that hasn’t stopped it from becoming an increasingly popular way to set up shop online. One of the major reasons for this is that is requires very little – almost nothing – in terms of upfront capital investment. As a small business owner or fresh-faced entrepreneur, you likely won’t have the means to store and ship a wide range of products. This, in itself, is a full-time endeavor. Dropshipping removes much of the financial risk that comes with purchasing and storing stock that might never sell. It also negates a hell of a lot of hassle. If you’re looking to bootstrap your business, dropshipping is one of the best ways to keep operating expenses low. Naturally, you can’t start selling online unless you have a product to sell. Certain products lend themselves more to dropshipping than others, for instance, those that are lightweight, simple to use, and in the range of around $100-200. Shipping costs can really eat into your profit margin, hence why it’s wise to opt for lightweight products that won’t cost much to ship. High shipping prices are also a real blow to conversion rates. Likewise, if you opt for a product that’s simple and uncomplicated, you’re less likely to be bombarded with returns if customers can’t work out how to use it. By choosing a mid-price product of around $100-200, you will also ensure that you make enough of a profit per item that you won’t need to sell thousands of them. If you’re looking for products to dropship, take a look at Oberlo and AliExpress, as well as the Amazon Best Seller list and product-related Reddit threads. 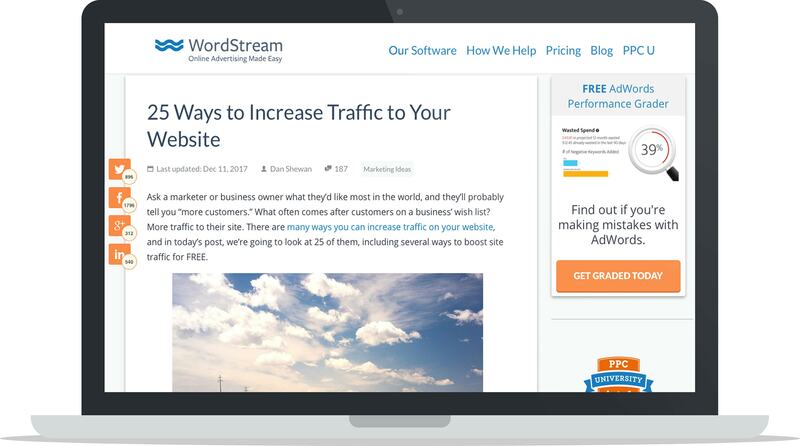 Ecommerce entrepreneurs operating with a low or “zero” budget may consider using a free platform like WordPress and WooCommerce to set up their online business. But unless you’re pretty savvy at building and maintaining websites, you may discover unexpected costs along the way, such as purchasing plugins, software and templates, and hiring a developer to iron out niggling issues. If you’re a beginner, then you’re probably better off using an affordable, hosted ecommerce solution instead. Options like Shopify come with a range of free apps and themes that give you everything you need to get your shop up and running – plus you get software upgrades and customer support for free. The free trial lasts for two weeks. 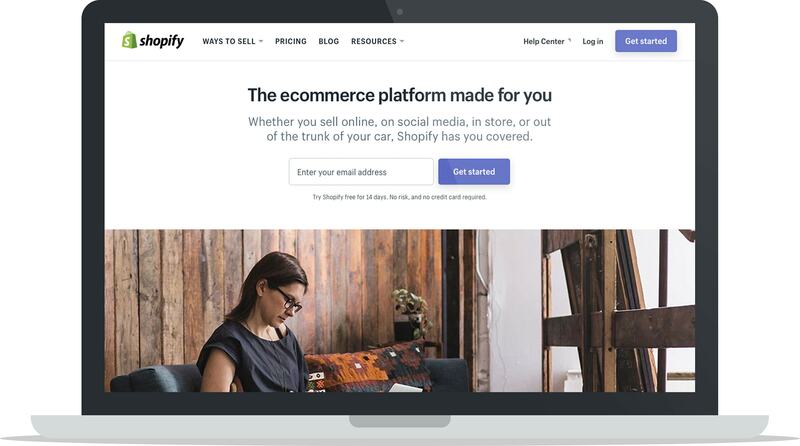 Note: To learn more about Shopify and the features & services they offer, check out this in-depth Shopify Review. If you’re using Shopify, then Oberlo is the natural choice, as it allows you to easily import products from suppliers directly into your Shopify store by integrating with AliExpress. 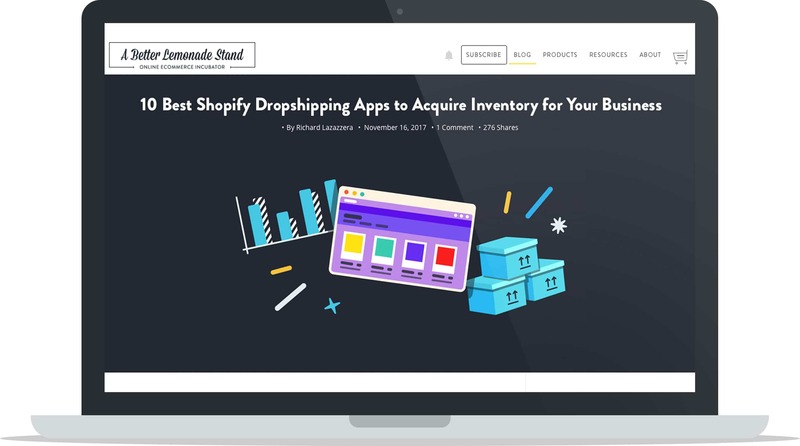 You can also check out these 20 AliExpress Alternatives to Source Your Dropshipping Products From and these 10 Best Shopify Dropshipping Apps to Acquire Inventory for Your Business. One of the best things about dropshipping is that you can start it from anywhere, at any time. It allows store owners to be totally flexible with their location, which is why it’s such a popular choice among digital nomads and people who work from home. All because your supplier stores and ships the items for you. A word of advice: It’s worth choosing a specific niche, rather than opting for a product that’s too broad. These areas are competitive and harder to market well. Take the time to find a trustworthy supplier that you can build a long-term partnership with. As you start selling products, note those that are doing well and push them, rather than attempting to boost less popular items. 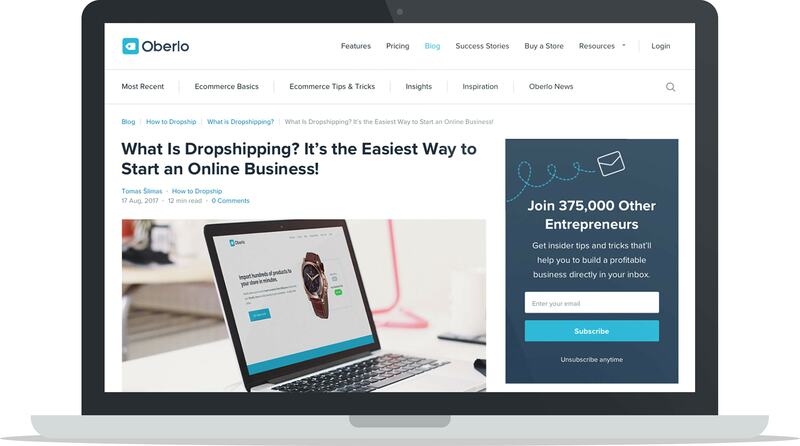 Dropshipping is certainly one of the best options for those with no time and no money – once the store is up and running, all that’s needed of you is driving traffic to your website. A home-office or on-the-go ecommerce business could be more achievable than you think. 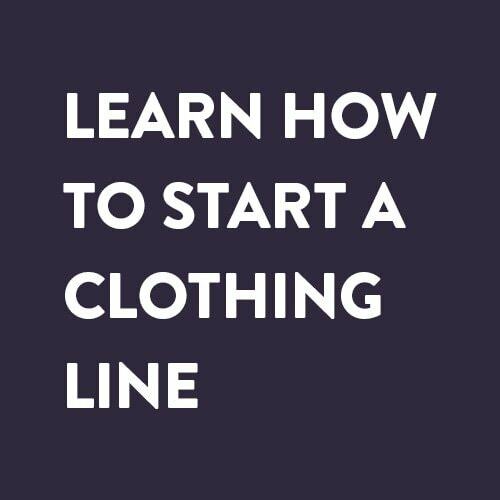 If you’re an artist or designer, or have one at your disposal, then it’s definitely worth considering whether you could make money from dropshipping original designs on apparel and homeware. Immediately, you differentiate yourself from other sellers by having something they don’t. Of course, it isn’t just about aesthetics. Many a good designer has failed to sell their products because they didn’t include the right keywords in their content and product descriptions. A good knowledge of what users are searching for is key – use keyword research tools such as KWFinder to help with this. Note: Learn more about keyword research here, why it’s so important and how to effectively find and apply keywords. To learn more about writing enticing product descriptions, check out this article on How to Write Better Product Descriptions and this article on How to Create a Great Product Page. 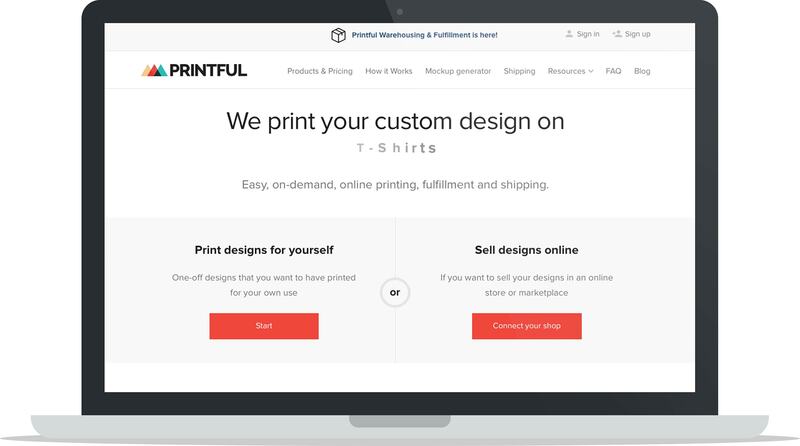 Printful and Printify are two integrations you can use to easily upload your designs and sell them online – printed on demand as in when customers place an order. Printful’s operations run in-house, whereas Printify’s suppliers are outsourced. Both have a lead time of around 3 days and work with both Shopify and WooCommerce. Learn more about Printful, our preferred print-on-demand dropshipping supplier, in this comprehensive Printful Review. Curious? 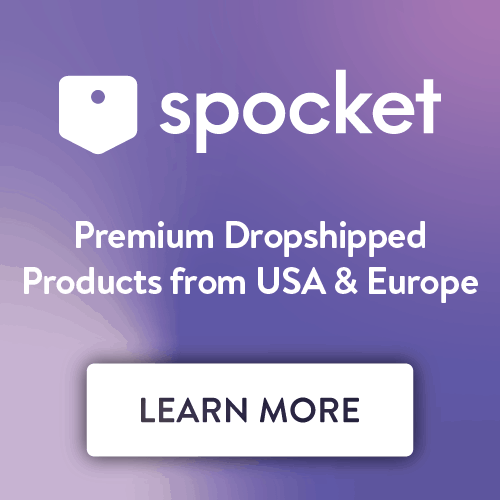 Read this post on How to Build a T-Shirt Dropshipping Business With Printful. While this all sounds great, it’s also worth being aware of the downsides that come with choosing dropshipping as your ecommerce model. The first downside is reduced profits. Because your wholesale prices will be a little higher, you’ll either have to hike up the retail price to increase your profit, or take the hit if you’re trying to price your products competitively. Yes – convenience does come at a cost. On top of this, you may also need to charge higher shipping rates. While it’s certainly the case that the dropshipping supplier is (literally) doing a lot of the heavy lifting for you, that doesn’t mean you get to sit back and do nothing. You still have to deal with your customers. And this can be tricky – because even if it’s your supplier’s fault that an order hasn’t arrived on time, you will still be the one held accountable. When you choose dropshipping, the customer service element is taken away from you, so you won’t always know exactly when orders will arrive. It’s out of your control. But these days, customer service is critical. One or two bad experiences aired online can destroy your brand’s reputation. You’re making a trade-off – yes, you don’t have to deal with the logistics of fulfillment, but you still have to make sure your customers are happy and know enough about what’s going on to answer their questions. Note: Learn more about both the advantages and disadvantages of dropshipping here, as well as other aspects of the dropshipping business model. 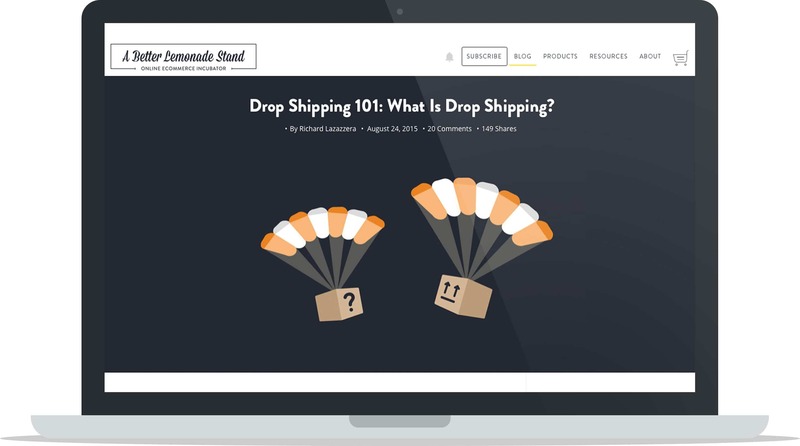 Dropshipping is the perfect solution for a very specific type of business, namely, those testing out the market, new entrepreneurs, and those who want to keep logistics to a minimum so they can focus solely on marketing and customers. While it’s hard to manage with absolutely zero time and budget, it’s certainly your best bet when you’re trying to cut costs and minimize admin tasks. 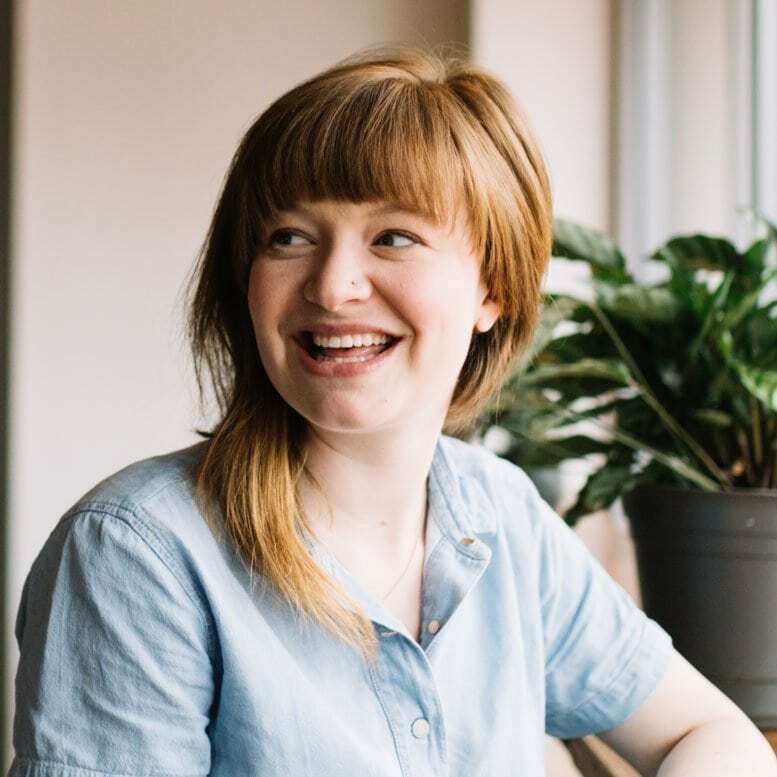 Victoria Greene is an ecommerce marketing consultant and freelance writer, working with large brands to help them blossom. She loves nothing more than sharing her knowledge with the world and encouraging entrepreneurial dialogue.